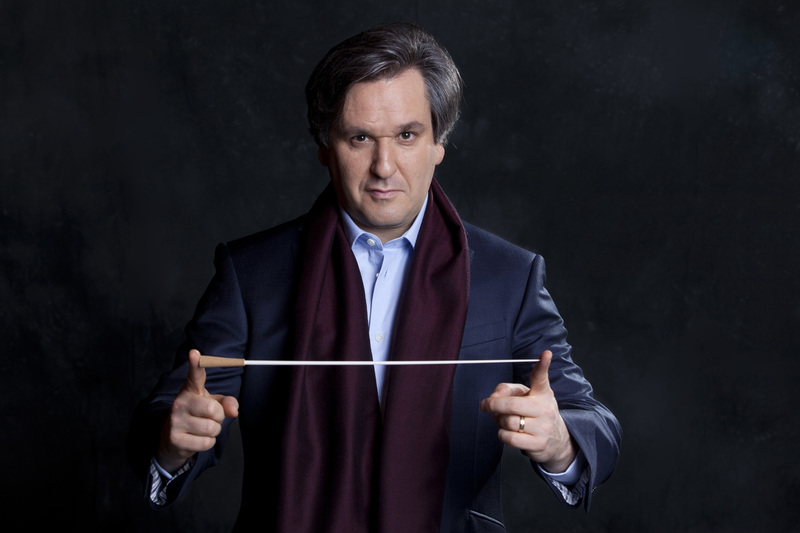 Currently Music director of the Royal Opera House, Covent Garden and the Orchestra of the Accademia Nazionale di Santa Cecilia in Rome, Antonio Pappano was born in London of Italian parents. At the age of 13 he moved with his family to the United States, where he continued his studies in piano, composition and conducting. Work as a répétiteur and assistant conductor rapidly led to his engagement in theatres throughout the world: New York City Opera, Gran Teatro del Liceu (Barcelona), Frankfurt Opera, Lyric Opera of Chicago and the Bayreuth Festival, where he was assistant to Daniel Barenboim for Tristan und Isolde, Parsifal and the Der Ring des Nibelungen. At the age of 32 Pappano was named Music Director of the Théâtre Royal de la Monnaie and remained in this post for ten years. In 1993, Pappano made a notable debut at the Vienna Staatsoper, replacing Christoph von Dohnànyi at the last minute in a new production of Wagner's Siegfried, for which he received unanimous acclaim. He made his debut at the Metropolitan Opera, New York, in 1997 with a new production of Eugene Onegin and in 1999 at the Bayreuth Festspiele conducting a new production ofLohengrin. From 1997 – 99 he was Principal Guest Conductor of the Israel Phiharmonic Orchestra. He has recorded Don Carlo for EMI Classics (CD and DVD, which received the "Performance of Year Award" from Gramophone) as well as La Bohème, Guillaume Tell, La Rondine (awarded Best Recording of the Year by Gramophone Magazine), Il Trittico, Massenet's Werther and Manon, Madama Butterfly, Tosca, Il Trovatore, Tristan und Isolde and the Verdi Requiem. His orchestral recordings with the orchestra of Santa Cecilia include Tchaikovsky Symphonies 4, 5 & 6 and Respighi's Roman Trilogy, Rossini's Stabat Mater ("Editor's Choice Award" from Gramophone) and he has also partnered Hanna Chang, Leif Ove Andsnes and Maxim Vengerov in concerto recordings and Ian Bostridge in recital. Antonio Pappano's Roman orchestra, the Academia di Santa Cecilia, have won Critics' Choice at the Classical BRIT Awards for their recording of the Verdi Requiem. A more complete discography can be found on the IMG Artists website. He was awarded 'Artist of the Year 2000' by Gramophone, the 2003 Olivier Award for Outstanding Achievement in Opera and the Royal Philharmonic Society Music Award 2004. In May 2012 Antonio Pappano was made a Cavaliere di Gran Croce by of the Republic of Italy. He was recently awarded the Bruno Walter prize by the Académie du Disque Lyrique in Paris. This coming season, he conducts both the London Symphony Orchestra and the Accademia di Santa Cecilia on tours in Europe and Japan. At the Royal Opera House, he conducts new productions ofGuillaume Tell and King Roger.